ReThink, the organizers of Parent Cue, are one of the leading voices in parenting ministry in the church today. They produce the popular Orange Curriculum as well as the enormously helpful Just a Phase resources. As a whole, their website Parent Cue is chock full of articles, resources, purchasable parenting content and great resources. 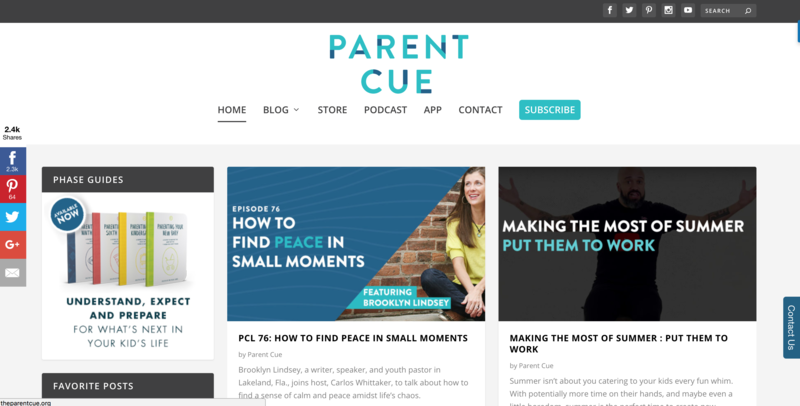 The Parent Cue website focuses on a podcast, app and multiple blog channels, including crisis intervention, faith elements and age-segmented parenting tips and tricks. It’s a regularly updated, rich resource for parents. Any parent of any stage looking for additional information or resources about parenting.